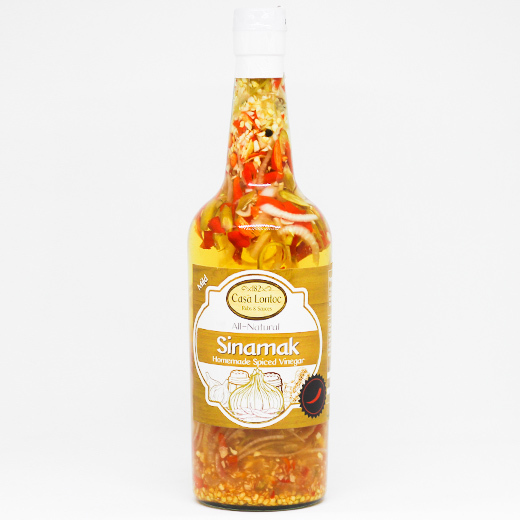 Sinamak is a vinegar based dipping sauce infused with many differet spices. Our product is made from all-natural ingredients. (100% natural cane vinegar and spices) It compliments fried and grilled dishes. Can also be used as a marinade. A must have in every Filipino's home.